Tom Dumke of Thomas William Furniture, designer craftsman of solid wood, hand crafted furniture, will present heirloom quality furniture for the third time at Mount Dora's 40th Annual Art Festival, February 7 and 8, 2015, in downtown Mount Dora juried fine arts festival, for art lovers, casual festival-goers and families. Downtown Mount Dora, with its New England architecture and breathtaking views of Lake Dora is the backdrop for the event. "We are excited to be exhibiting at this art fair” Tom Dumke stated. 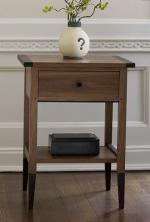 Thomas William Furniture offers quality crafted wood furniture. Each piece is carefully hand-crafted furniture from a selection of superior hardwoods for grain-pattern, texture, density, balance and color, with the trained eye of a master craftsman and the heart of a true artist. Careful attention to detail ensures a superior product that will grace a home with a simple and lasting beauty. Founded in 1996, Thomas William Furniture’s mission is to build fine, quality furniture that celebrates the natural beauty of wood with a traditional with a modern flare design, and is a joy to own. 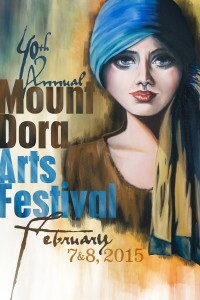 Click here for more information about Mount Dora Art Festival.